Its a beautiful snowy day. I found the thickness calipers I misplaced. I leave soon to play a very pleasant gig close to home. Life is good. 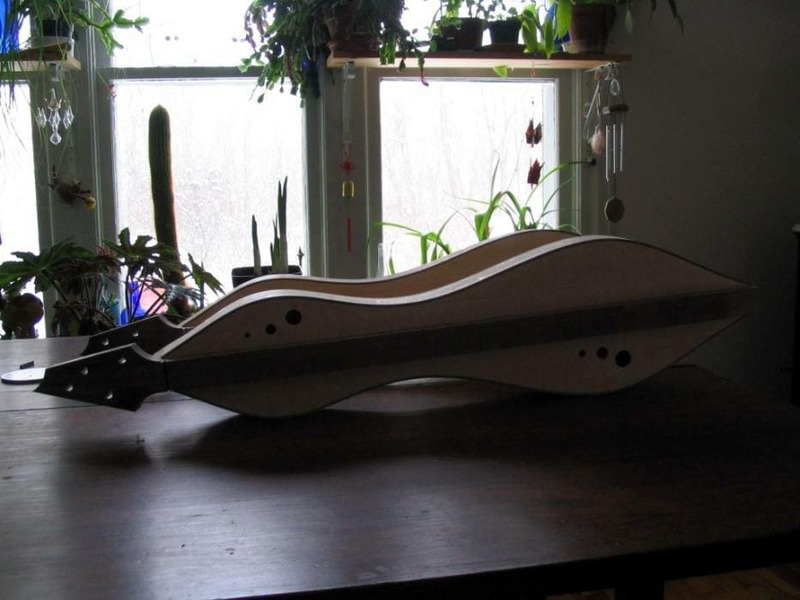 I spent the morning getting two dulcimers ready for final scraping and sanding. A third is on the bench close behind. Now its time to brush snow off the car and go play. Speaking of playing, I read once that a reason people don’t take the work musicians do seriously is because it is referred to as playing. Perhaps that is why so many people through the years have felt they were doing me a favor by asking me to work for free? LOL! Thanks to you for sharing your wonderful skill and artwork – I fully agree with the misconception: “work that is fun, is not worthy of an earning!” I have a store and studio and am constantly getting sponged for information and ideas by people who come through my door -I don’t mind if they are paying students, but I am really not hanging out waiting for someone to talk to… I am Working!! Amazing! My grandfather would tell folks who said thank you that a cat died on thanks. I never figured out what exposure was supposed to do. If I give you a quilt or beaded item, I can sell the others at the event without paying a commission? I guess a lot of people think that if someone enjoys the work they do then it must be something they only do for fun. A line I hear a lot when asked to play for free is that “it would be great exposure.” Well, people have died of exposure!